WHAT KIDS [LOVE]: Valentine's Day! Kids love the sayings and the colors of this adorable outfit and the fun lace sleeves will make this your little girl's favorite! 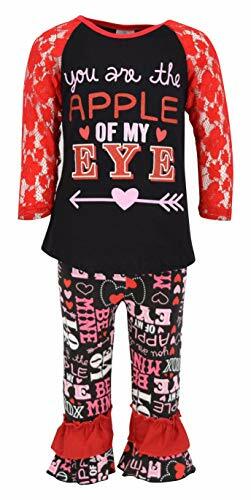 STYLE [VALENTINE]: Your little girl will steal the show in this beautiful Valentine's day outfit! 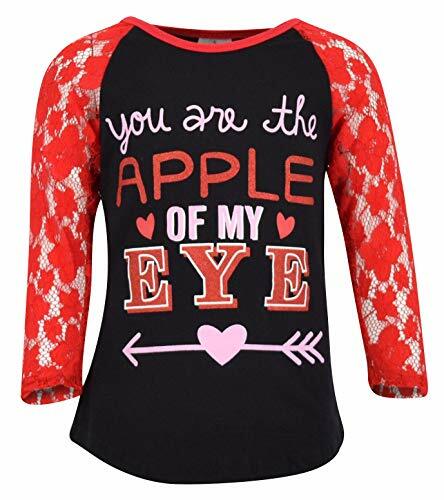 Featuring all the classic Valentine's Day quotes; "Be Mine", "XOXO", "You Are the Apple of My Eye" and "Love" on the matching leggings. This one is an eye catcher for sure.